Starting a business is tough and maintaining it can be even tougher. And one tool that will help you measure your success is a business plan. 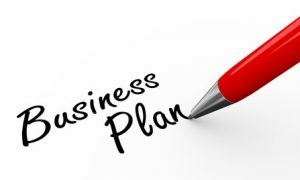 I know I know – you don’t want to do a business plan. Well here’s the thing – without a well thought out plan you have no way of knowing where this business is headed or how it will get there. Better yet you will have no idea whether it will actually succeed or not. Think of your business plan as a GPS. You ultimate goal for your business is your destination that has to be punched in. The rest of the plan is your turn by turn directions on how to get there. It’s what strategies you will follow to avoid the obstacles that will delay your arrival, what marketing strategies you are going to use to help fuel your business and what metrics you will learn from that will drive you all the way there. As I said I get it – you don’t want to do it but you have to. We didn’t either until we found Live Plan. Live Plan is an amazing app that can used to not only create your business plan, but it can also be used to help monitor your metrics. We use it for our company as well as our clients. Here are 5 reasons why we love Live Plan. You know we love automation over here and this has to be by far our favorite feature. Once you connect Live Plan to your QuickBooks or Xero account, your data is updated automatically. Not your projected data – your actual data. Using the built in dashboard, you gain the ability to measure against your projections and understand how your business is really doing. And it’s in real time. How’s that for up to date information? Not everyone gets it when they are looking at their financials. Some people are visual and need their data presented in pictures and graphs to be able to understand. Live Plan has a built in financial dashboard that outlines all of the key metrics you need to be paying attention to. And the calculations are immediately done for you. It also includes benchmarks so you can see how you are doing compared to other businesses in your industry, NAIC code and geographic area. Looking to pitch your business to a potential person or organization for partnering or to an investor for funding? This app has a built in pitch area that allows you to create a one page pitch to be presented at the drop of the dime. If a metric appears slightly off, simply update it in the designated area of the plan and instantly the pitch is up to date. Way back when you would create a business plan and put it in a drawer. Never to be seen or heard from again. With Live Plan you can update your plan in real time annually. As you update your strategic plan each year, you can make the necessary changes to your plan so that it always remains in line with your goals, mission and vision. And last but not least, it’s super easy to use. The first time I logged in and used it, I knew instantly where to put what with any training. But if you do need a little training, just jump on a webinar and you will be on your way in no time. Live Plan is more than a business plan. It’s a financial solution for your small business.